Visiting the two most popular areas in South Africa, our Affordable South Africa – Cape Town & Wildlife Safari delivers both a cosmopolitan city experience in Cape Town and an exciting wildlife adventure in private luxury game reserve. 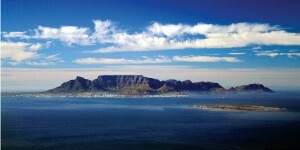 Welcome to the ‘fairest Cape in the World’ as your Affordable South Africa safari begins. Colonial monuments co-exist with delightful modernity in the glorious city of Cape Town. Basking in a Mediterranean climate for most of the year, veteran travelers insist this setting tops even the trendiest resort in the south of France. Certainly… the wines are just as delicious! Relax and enjoy a full day sightseeing package, which offers a choice of Cape Town’s iconic ‘hop-on-hop-off’ sightseeing bus, Two Oceans Aquarium, harbor cruise, District Six Museum, Ostrich Farm tour, Castle of Good Hope and much much more! South Africa’s finest wildlife refuge: The Greater Kruger National Park … your safari paradise for 4 exciting days. Nothing compares to the thrill of seeing your first lion on the hunt. Be prepared for non-stop action as you search for wildlife on morning and afternoon game drives. Open safari vehicles, expertly maneuvered by professional game rangers, allow for close-up encounters and superb photographic opportunities. During the quiet midday, an optional guided walking safari places you ‘nose to nose’ with the small denizens of the bush. Designed for those who appreciate comfort and luxury, the Nkomazi Game Reserve (Trip Advisor Certificate of Excellence Award) accommodations are 5 star luxury tents, with private plunge pools and superior amenities. Open safari vehicles, and optional guided nature walks, mountain biking and ancient rock art are all on offer at this wonderful wildlife paradise! Tempted to see a bit more with our Affordable South Africa safari? 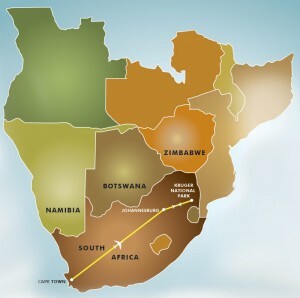 Think about adding Victoria Falls, Botswana or even an exciting Great White Shark Cage Diving adventure! Enjoy 3 glorious days exploring the city and environs. The iVENTURE CARD offers a huge smorgasbord of free activities plus dozens of discounts at top restaurants and wineries. The choice is yours; non-stop activity or a leisurely exploration of the city with interludes of fine dining and wine tasting. Wing to Kruger Park airport… onto wildlife heaven! Daily game drives allow for close-up encounters with elephant, lions, giraffe, zebra, hippo and hyena to name a few. Open safari vehicles plunge into the bush in pursuit leopard on the hunt. Don’t miss the midday walking safari!. Welcome Home with memories of your Affordable South Africa safari to last a lifetime!